Just as the food for thought, we keep bringing you guys some DIY plans so that you might get familiar with the actual work how exactly it goes on. 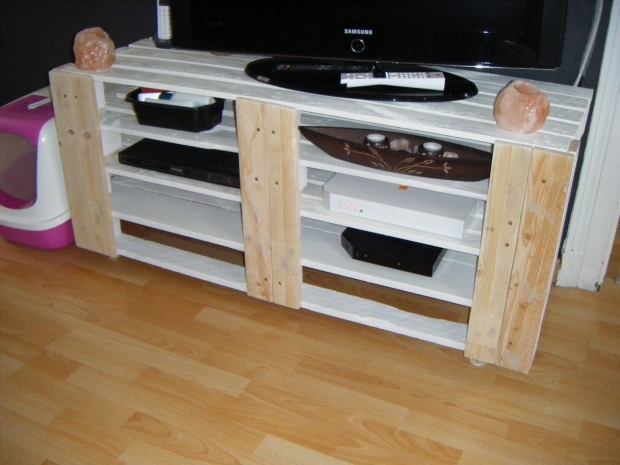 So in today’s article we are going to make right here a DIY pallet TV stand on wheels. A TV stand that is the need of every house, so this would be a great plan for you as well. Before getting started, let’s chalk out a list of tools and accessories that would be needed during the execution of plan. Metallic wheels (according to choice). Now let’s get into our workshop and get started. First of all do the homework for taking the necessary measurements. 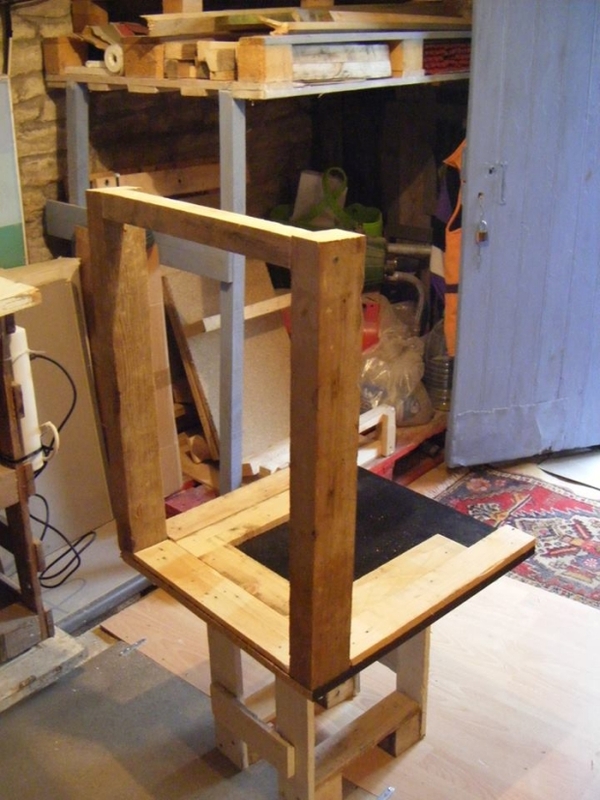 Now make a squared wooden sheet with cut pallet patches, and install two legs on one side of this sheet. Following the same pattern make three wooden parts of the table. Now put the down side of sheet upward on some support, drill up the holes to screw down the metallic wheels on these holes according to the measurements. Install the wheels on each corner of each part which would number around twelve as we have made such three wooden table portions. Now comes the phase of joining each portion prepared separately. 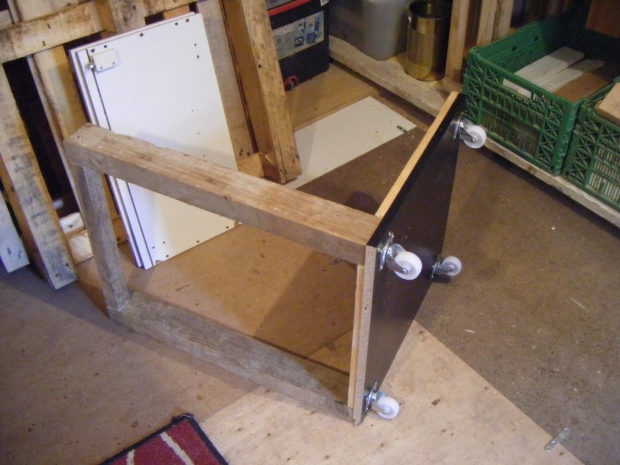 Place all three parts together on the ground, and join each of them from inside with the next one by nailing and gluing them decently. The basic frame is all set, now start filling the inside gaps with cut to size wooden pallet planks on each tier. 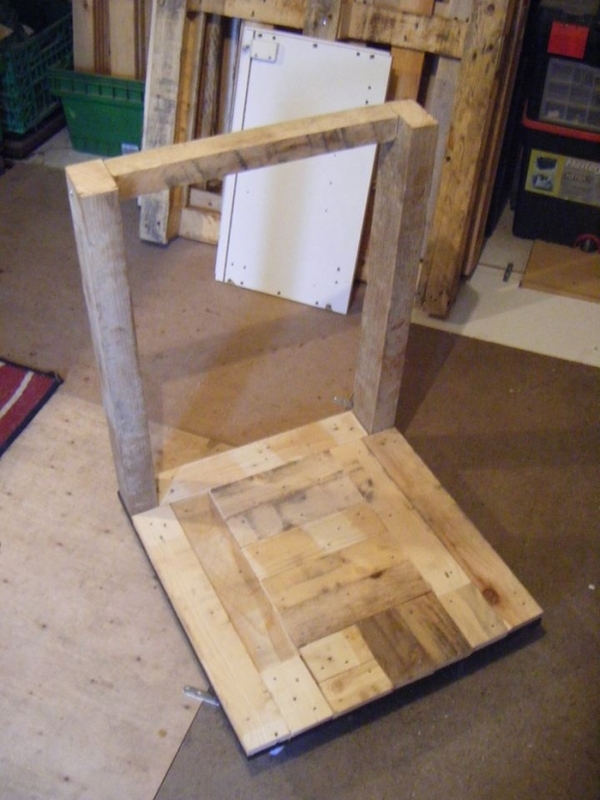 Even the top is also made with pallet planks. Except the three pre constructed parts, paint the rest in bright white color. 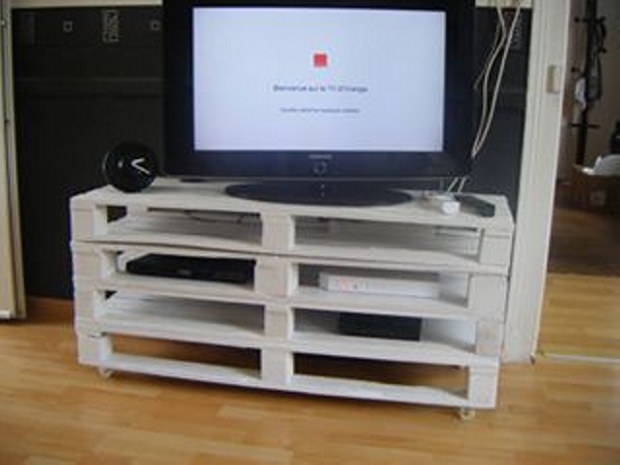 And you pallet wood TV stand on wheels is all set.